In line with new government regulations, North Warwickshire Borough Council will be introducing a 20% increase in planning fees from Wednesday 17 January. 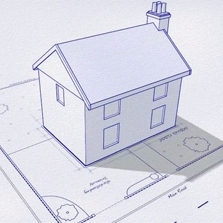 Planning applications submitted before 17 January and assessed as being valid by the Validation Officer will not be subject to the increase. However, anyone submitting a planning application which is and remains invalid up to 17 January will have to pay the increased fee. For full details of the changes please see our website. (PLEASE NOTE - this is a link to the National Planning Portal and it will continue to display the old fees until 17 January).